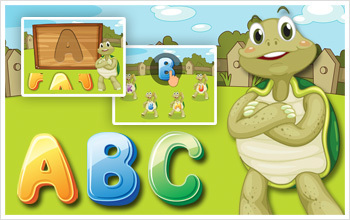 DOWNLOAD for FREE on the App Store Alphabet Turtle is a great way for kids to learn letters and alphabet. 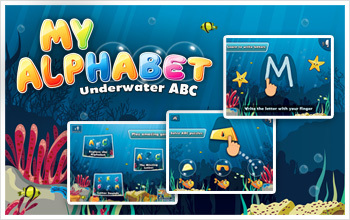 It’s a fun and entertaining game with puzzles, matching letter levels and tracing letters with fingers, which keeps children busy and makes learning letters an enjoyable experience. Each letter is presented in three different levels.